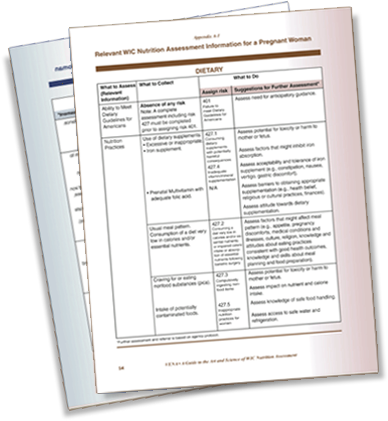 Complete a dietary questionnaire for each WIC applicant and take to your first WIC appointment. After your initial WIC appointment, your WIC nutritionist will tell you when to complete your next dietary questionnaires. If you are a mom with a newborn baby and you also have a 3 year-old, you would complete a woman questionnaire for you, an infant questionnaire for your newborn baby, and a child questionnaire for your 3 year-old.